We believe that women, especially when united, are a powerful force with great impact in our world. When we lay aside our differences and focus on the things that unite us, anything with God is possible. There are many ways to get involved with Gateway Women. 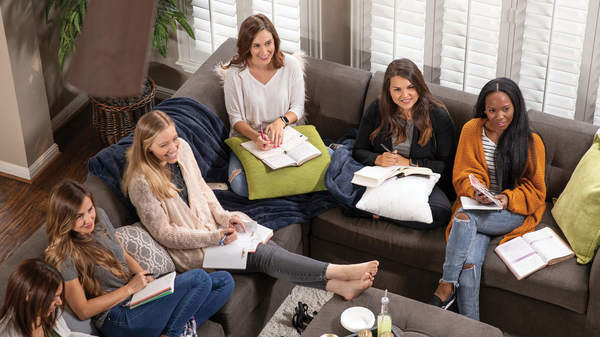 If you’re looking for a small group atmosphere where you can connect and grow, we have women’s groups for every kind of woman. If you’d rather start out with something at your campus where you can be encouraged and equipped, check out a Pink Night, one of our Equip classes, or leadership development training. And we’d love everyone to be part of our yearly conference, Pink Impact, which is hosted live at the Southlake Campus and streamed to watch parties in homes around the world. So wherever you are in your walk with God or in life, we have a place for you to plug in through Gateway Women!